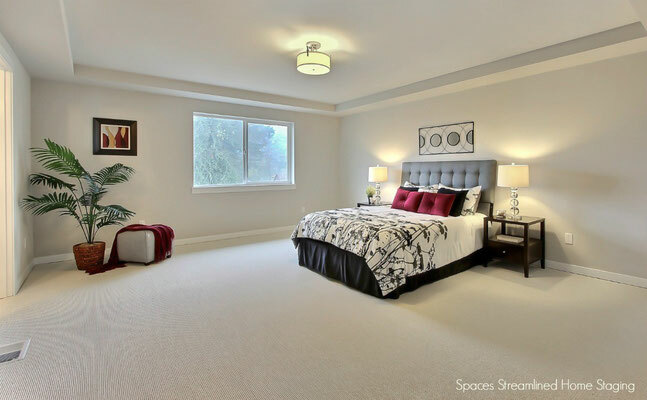 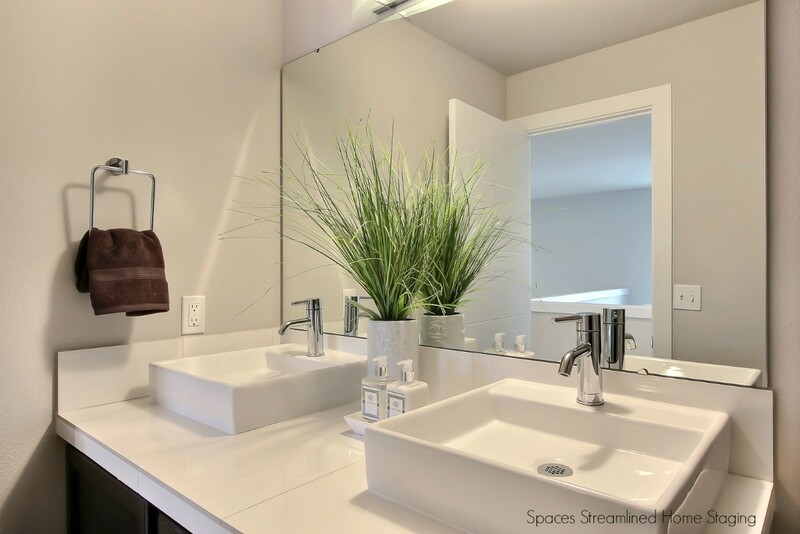 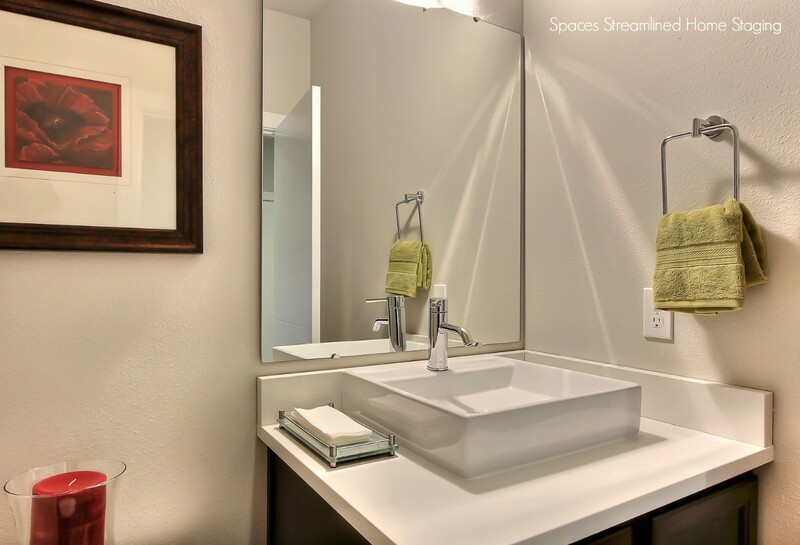 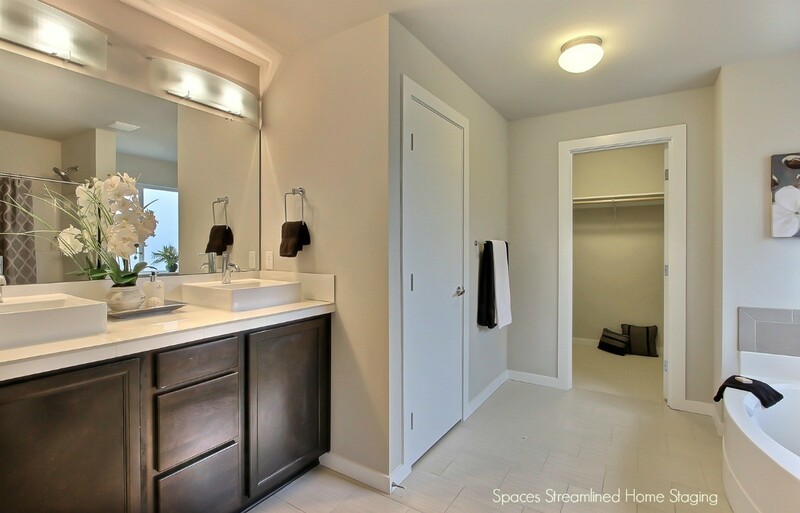 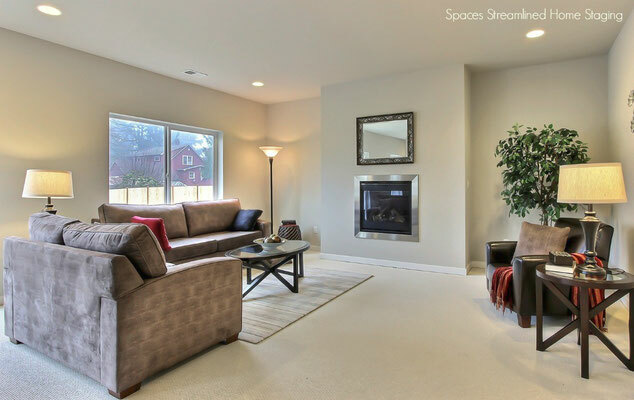 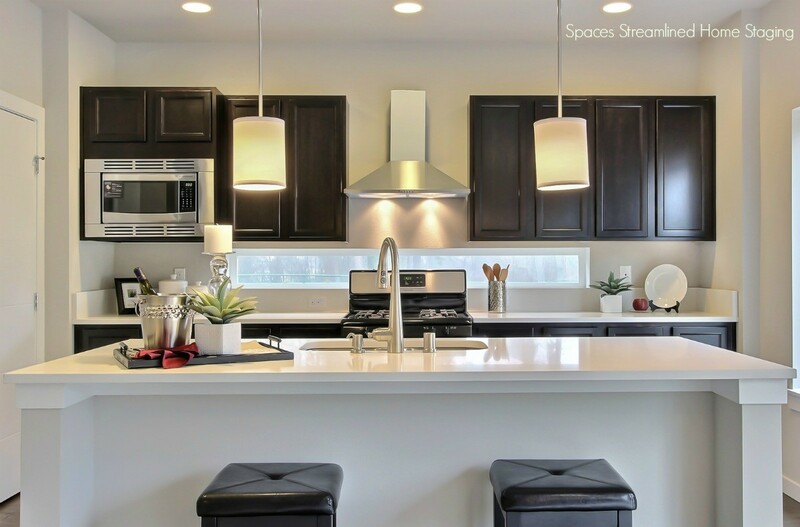 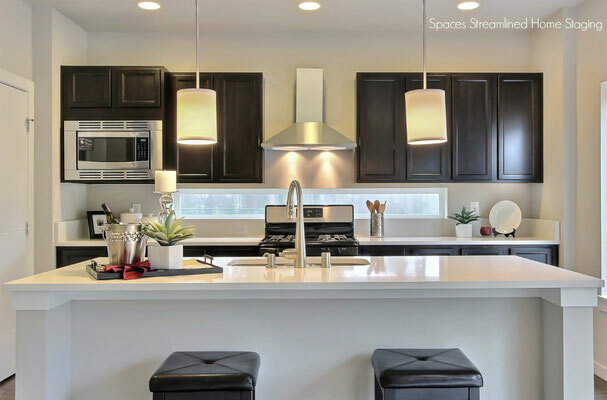 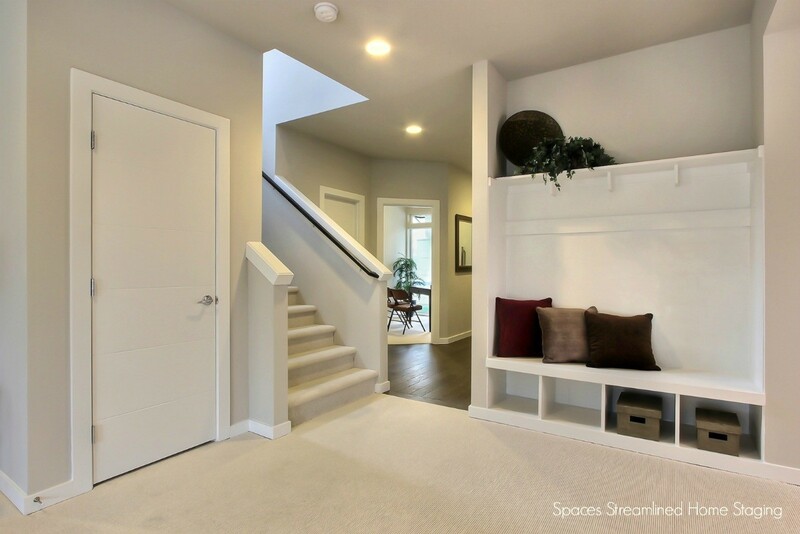 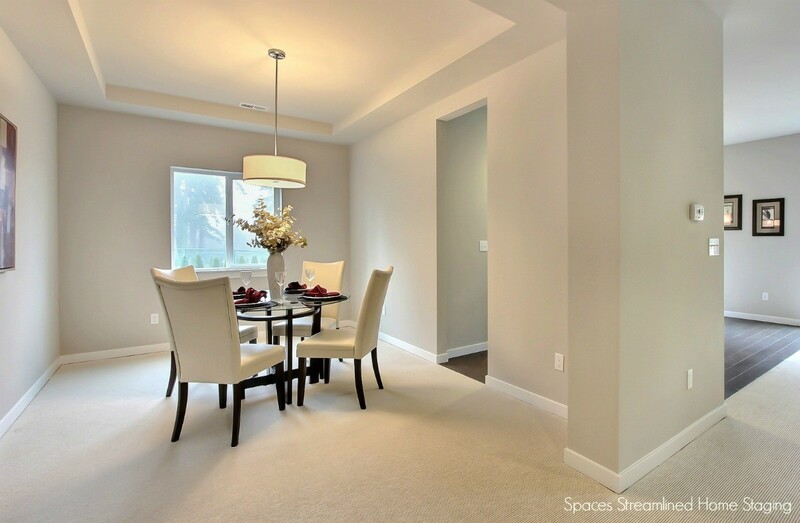 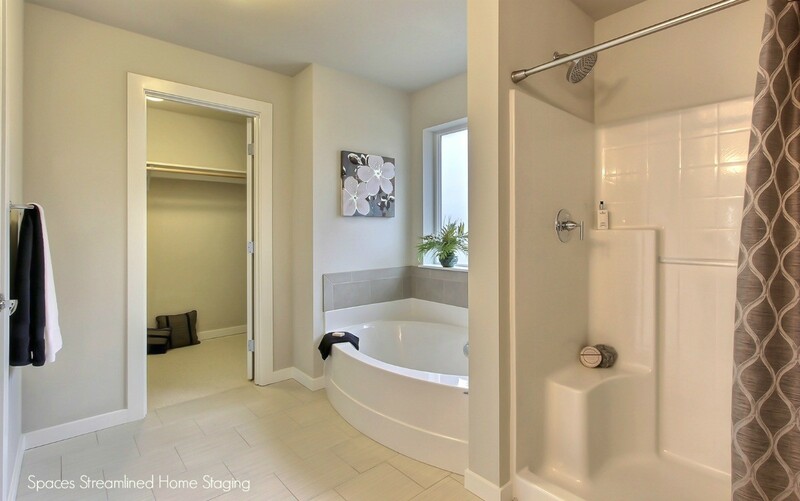 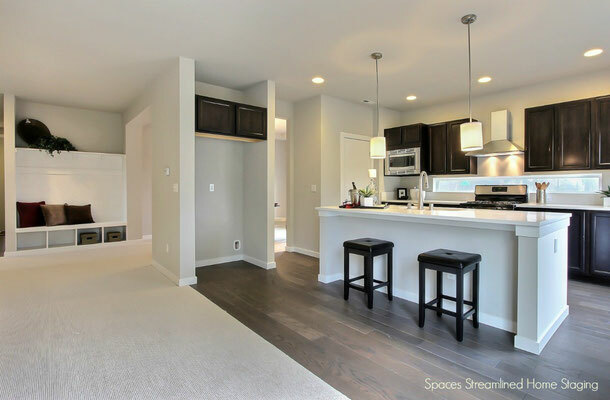 Home Staging Tacoma - Spaces Streamlined Home Staging, Styling and Organizing Gig Harbor, Tacoma and surrounding areas. 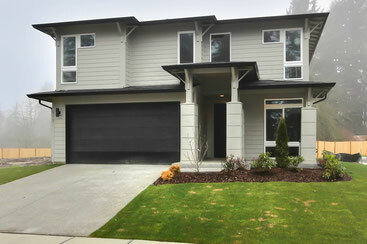 Spaces Streamlined was asked to stage this new construction home in Tacoma. 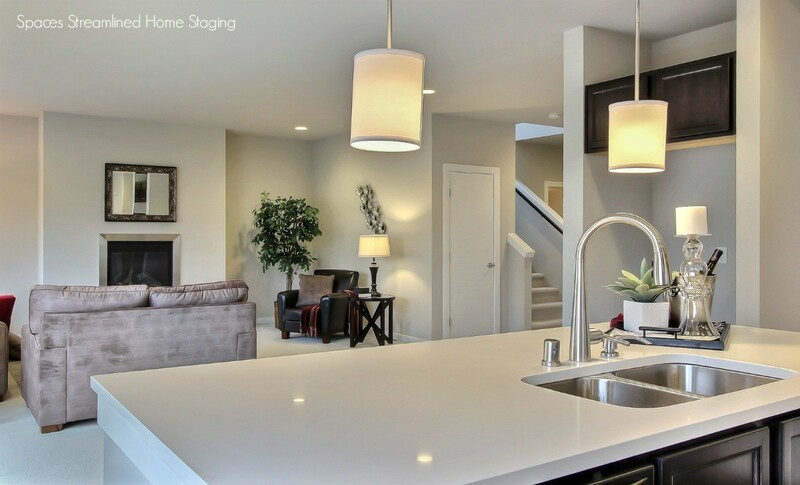 It features clean lines and finishes, giving it an open, modern feel. We used tailored contemporary furniture and accessories with pops of ruby to complement the home's simple, streamlined look.